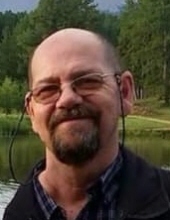 Todd Michael Hastie, 56, of Nampa passed away March 23, 2019 at a local hospital. Todd was born July 7, 1962 to Robert E. and Julie L. Goodman Hastie in Fresno, California. He was the first born of three siblings. He married Diane Michelle Allen July 9, 1982 in Amarillo, Texas. Todd enjoyed camping, shooting, hunting, and most of all being with his family. He loved being outside and enjoying God’s country, especially loved looking at the stars and watching the sunrises and sunsets. He was a Christian and volunteered in the Royal Rangers, serving as a commander for a time. Above all Todd loved Jesus first. Todd is survived by his wife Michelle; his mother Julie McCabe; his children: Michael (Elizabeth Hastie, Robert (Alexxus) Hastie and Daniel Hastie; and three grandchildren. He was preceded in death by his father Robert E. Hastie. "Email Address" would like to share the life celebration of Todd Michael Hastie. Click on the "link" to go to share a favorite memory or leave a condolence message for the family.